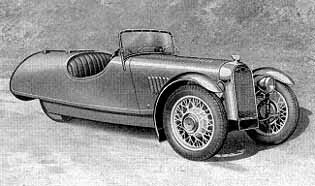 From 1910-1952 the Morgan Motor Company sold a huge variety of different three-wheeler models. They all had in common the independent front-wheel-suspension, the arrangement of the engine in front (plainly visible or hidden under the bonnet) and rear-wheel-drive. Seating was for two or four persons (sometimes Morgan claimed seating was possible even for 2 adults and 3 children). 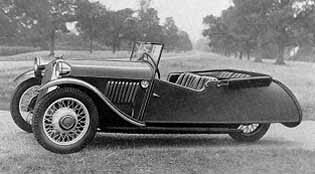 It was the cheapest model of all Morgans. Later it became also known as the New Standard Popular. "For the man who wants something better..."
The De Luxe Model had some refined coach built bodywork and was over all better equipped than the Standard Model. 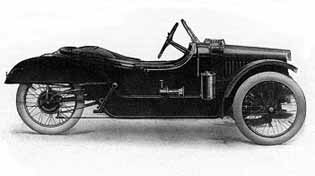 This model was laid up as a replica of the car, which won the Cyclecar Grand Prix in 1913 in Amiens/France. With OHV J.A.P. engine the maximum speed was claimed to be over 60 mph. 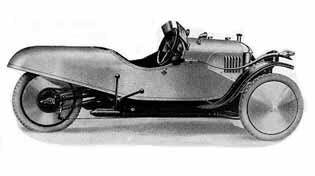 The body of the Sporting was made without doors for strength, light weight, more speed and sporting appearance. 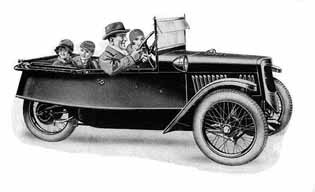 Announced in 1917 the Family model in 4-seater version was said to carry 2 adults and 3 children. The model was redesigned several times and it was also available as a 2-seater model (Sports Family) with a luggage locker. Although listed for the first time in the Sales Catalogue for 1920 some Aeros have been built earlier. 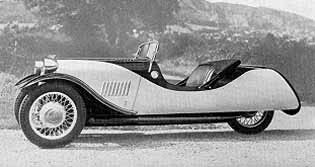 Later it merged with the Super Sports Aero until production of the 2-speeder ceased in 1933. 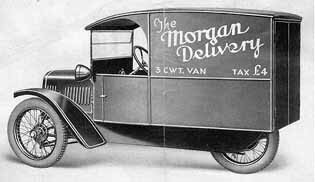 The Delivery Van was built on a standard chassis and was said to have a load capacity of up to 3 CWT. Only few were sold around 1930. 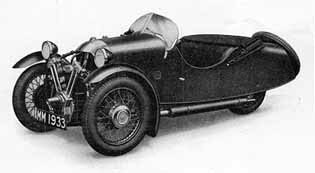 In 1927 Morgan built an Aero with a tuned engine and modified bodywork, it was called a Super Sports Aero or "Super Sports". 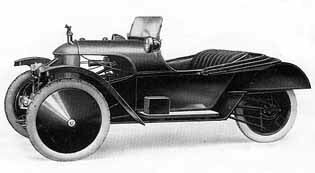 Around 1932 the 3-speeder model was introduced. In 1933-35 engines changed from J.A.P. to Matchless MX, MX2 and MX4 and body style from Beetleback to Barrelback. This model replaced the Aero. It could be ordered with either none, one or two doors. In 1932 it was equipped with a J.A.P. engine, later with Matchless MX, MX2 and MX4 engine. 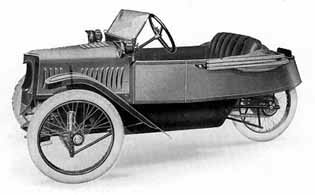 The "F-4" was built on a totally new chassis with a 4-cylinder inline 8hp Ford model "Y" engine. It was restyled in 1935 and 1938. 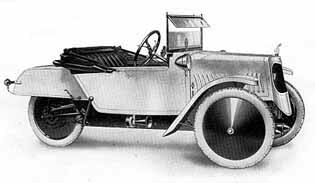 A 2-seater bodywork on a 4-seater chassis with an 8 or 10hp Ford model "Y" engine. It was sold with no doors at all or a single door on the passenger side. 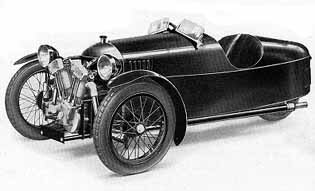 The "F" Super was built up on a new chassis and fitted with a Ford 8 or 10hp engine. It could be obtained with either just a door on the passenger side or two doors. Did you come through the backdoor and now you are missing the navigation bar? If you don't have the navigation bar on the left side, pressing the "Homepage &AMP; Index"-Button below will bring you to our homepage and will load the frame with the links for easy navigation.